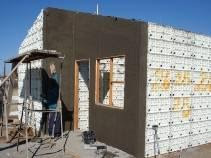 moladi plastic concrete formwork system, for low cost housing, provides and assists with the full range of requirements involved in the transfer and use of a proven low construction cost housing technology. 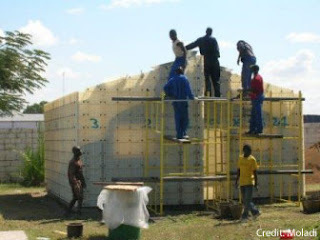 We supply affordable housing technology and support transfer of know-how to empower individuals to achieve worth, by meaningful action to raise those at the “bottom of the pyramid” to a higher level, supplying low cost housing technology. Low construction cost affordable housing- not poor quality. Build camps and run the risk of long-term dependence, or build nothing and watch basic needs grow: this is the dilemma facing aid workers in Southern Sudan amid an unexpectedly large deluge of people leaving the north of the country in the run-up to January's secession referendum in the south. According to the UN Office for the Coordination of Humanitarian Affairs (OCHA), some 92,000 people of southern origin, many of them displaced during decades of civil war, had crossed from north to south between October and 22 December, and the rate of return was increasing. The problem is that many are returning by bus, dropped off in major southern towns with no means of completing their journey to their area of origin. 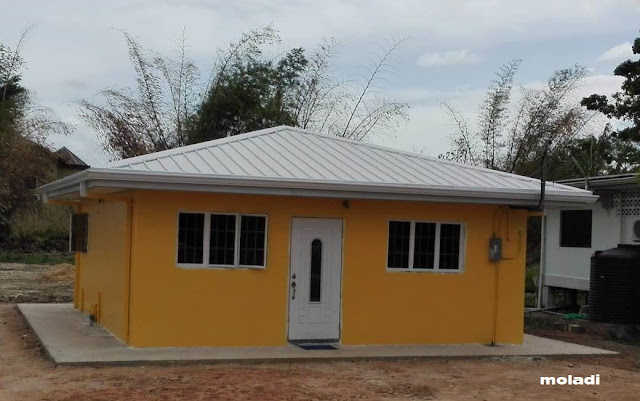 Pag-IBIG Fund is encouraging the development of low-cost socialized house with units costing as low as P100,000 to make them affordable to the poor. Edgardo Lacson, a member of the board of the Fund, said the current P400,000 cost of socialized housing units translates to a monthly amortization of P1,000 which is still not within the reach of the poor. "We want to make it as affordable to as low as P200 to P300 a month in amortization," Lacson said. Lacson said this is a faster way of addressing the 4 million-housing backlog. "With only 400,000 units being built every year, how can we catch up? We need to think out of the box. We want to update the backlog in six years. We want real low-cost housing. It’s easier in the pockets of borrowers," said Lacson. Over the weekend, the Venezuelan government approved new funds and announced the nationalization of two companies that produce construction materials in order to accelerate a surge of public housing projects for people displaced by recent floods. The National Assembly voted to allocate 1.18 billion bolivars (US$ 274 million) towards a special housing plan to build 9,387 homes for flood victims in Caracas. It approved an additional 63.9 million bolivars (US$ 14.8 million) for the Commerce Ministry to buy basic items for the thousands of families currently living in shelters as a result of the floods. Meanwhile, President Hugo Chavez has been on a flurry of visits to emergency housing construction sites and shelters to assure flood victims that the government will fulfill its promise to build them new homes. There is a shortfall of around one million housing units in Saudi Arabia, the largest Arab economy with a population of 27 million, the report said, citing government sources.With the mortgage market representing only 2 percent of the gross domestic product of the top oil exporter, mortgage credit is limited, making affordability more difficult for low and middle-income earners. "Developers continue to show bias towards developing mid to high-income housing units. This has created a large pool of untapped demand for low-cost housing." 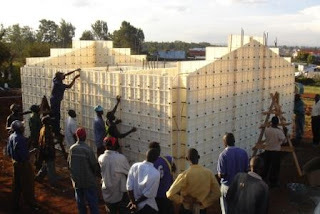 The construction boom in Kenya is spilling to urban areas outside Nairobi with Nakuru town, Kenya’s fourth largest urban centre and the fastest growing metropolis in Africa, the latest to attract an investment of 450 low-cost housing units. 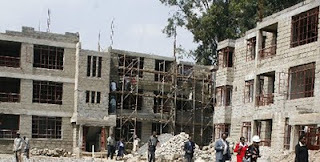 Milimani Holdings, a group of private investors, plans to spend an estimated Sh250 million in the construction, which is set to speed up development in the town recently named by UN-Habitat as Africa’s fastest growing urban centre. The initial phase of the project will comprise 160 housing units, clustered in 10 blocks of 16 flats each in the five-year project scheduled to start next year. 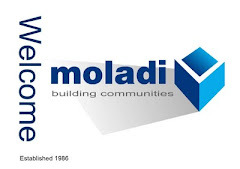 moladi provide and assist with the full range of requirements involved in the transfer and use of a proven low construction cost technology. We supply technology and support transfer of know-how to empower individuals to achieve worth, by meaningful action to raise those at the "bottom of the pyramid" to a higher level, supplying low cost housing technology. Former president APJ Abdul Kalam has called for new ways to harness rural entrepreneurship and for reorienting the education system to address the twin issues of skills gap and employment. “Create job creators rather than job seekers,” he said presenting cases of innovative applications originating in rural areas of Assam and Kerala. 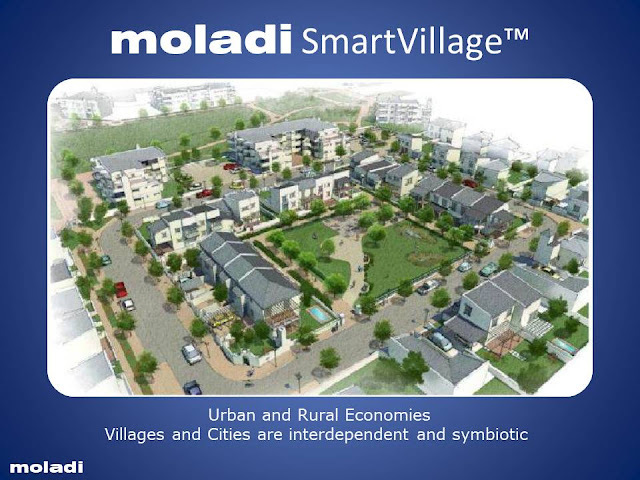 “Grassroots innovators come up with creative solutions out of experience or necessity (An example moladi ).These need to be integrated with appropriate technology to make them marketable and competitive,” he said. Kalam was speaking at the inaugural of an international conference on skill development in the context of a technology-driven society. The two-day conference is organised jointly by the Rural Educational and Economic Development Society (Reeds) and the Ministry of Labour and Employment. affordable housing for the poor? How can the poor get affordable housing? In 2008, for the first time in history, more people will begin to live in cities than in villages. According to the State of World Population Report 2007, the world's urban population is 3.3 billion out of a total world population of 6.6 billion. If the current trend continues, the number of urban dwellers will reach almost 5 billion by 2030. In India the urban population is expected to become 576 million in 2030 from the current 328 million. The GIM Initiative is part of the UNDP Private Sector Division headed by the Director Henry Jackelen. The Division also hosts the Business Call to Action (BCtA), a global initiative that challenges private sector companies to adapt their core business models in support of poverty eradication and growth in developing countries, and the Inclusive Markets Development (IMD)programme, which seeks to promote inclusive market policies and projects globally. Urban poverty is a significant cause of inadequate shelter. Lack of finance requires individuals or households to rent poor quality accommodation or to build informally and sometimes illegally; no other options are affordable to many of those living in Southern towns and cities. An estimated 900 million are living in inadequate housing and unsafe neighbourhoods. Individuals and families struggle to secure the resources they need for healthy and prosperous lives and this includes shelter. 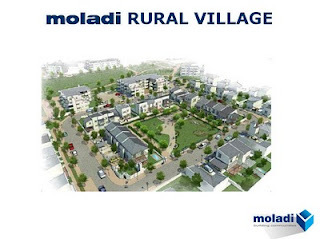 There are very high levels of informal tenure and incremental housing development in Southern towns and cities.